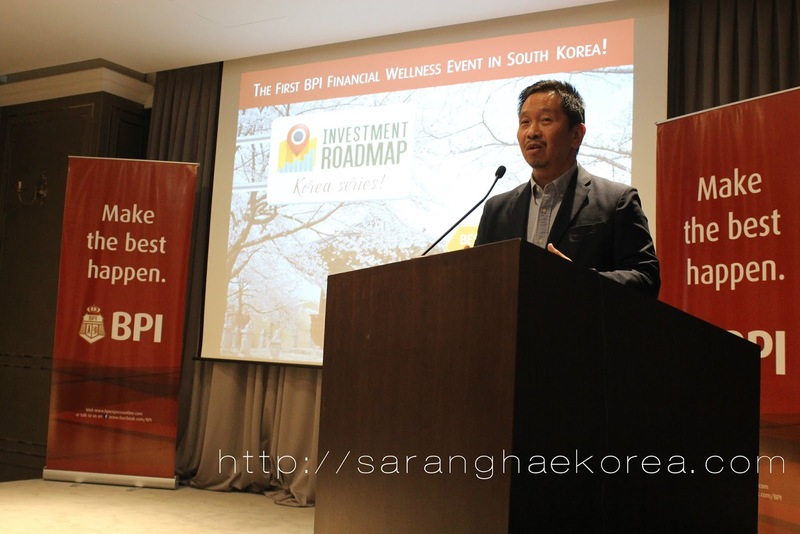 In more than 3 years of staying in Korea, I have already attended several financial literacy seminars. 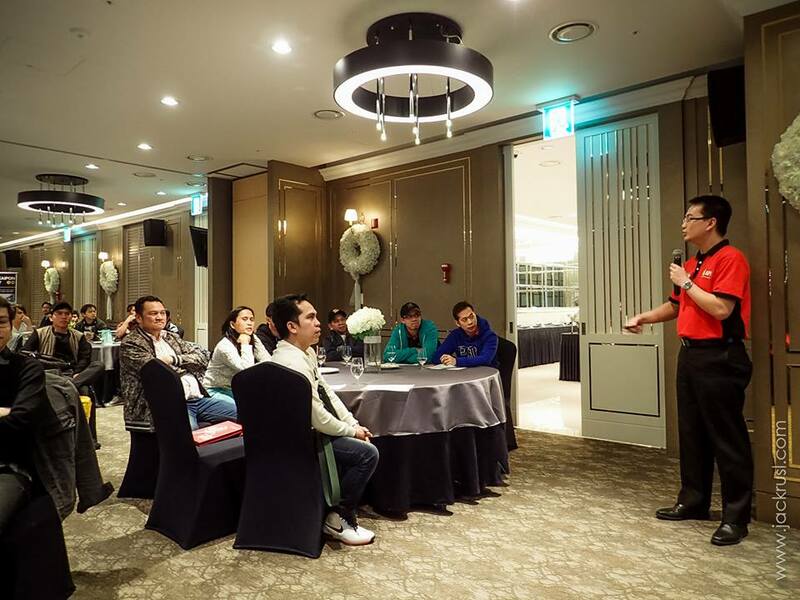 These seminars were conducted by Fillipino communities in South Korea to help educate the OFWs on how to properly handle their hard earned money. On April 17, 2016, a different kind of financial literacy seminar was held at the 3rd Floor Arium Hall of Best Western Arirang Hill Dongdaemun in Seoul. Why did I say it’s different? It is because it was organized by Bank of Philippine Island or BPI. 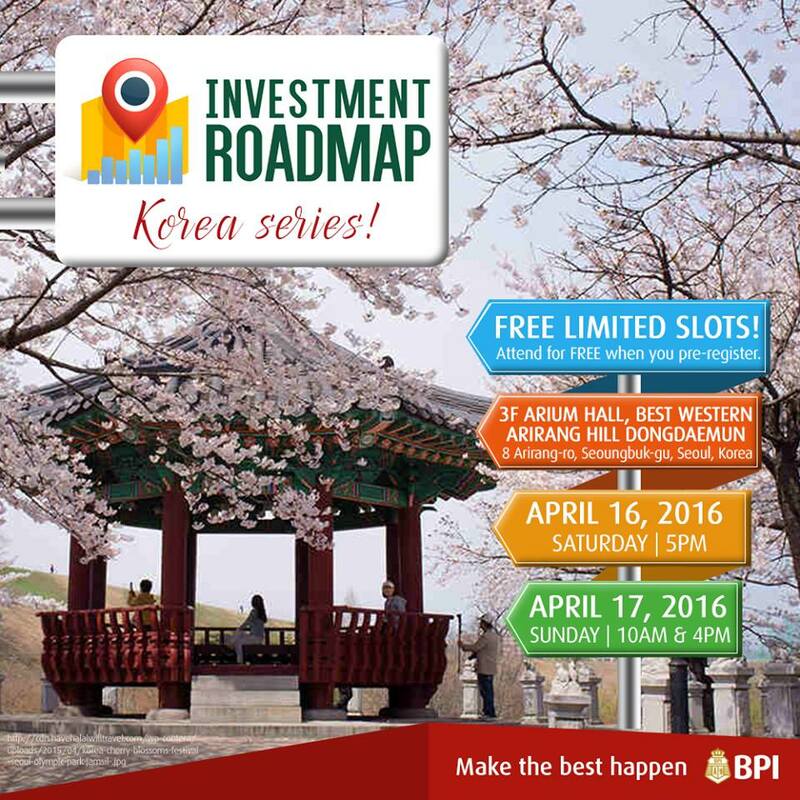 As far as I know, it’s the first time a banking institution in the Philippines conducted a seminar in South Korea. As for BPI, it was their first time to conduct a Financial wellness event in the country. BPI did run the Investment Roadmap seminar for two consecutive days in three different batches. Each batch was attended by more than 70 Filipino migrants. The first batch was on April 16, 2016 at 5 pm. The second and last batch was April 17, 2016 at 10 am and 4 pm respectively. The seminar lasted for about 3 hours per batch including the lunch/dinner and the free financial consultation. 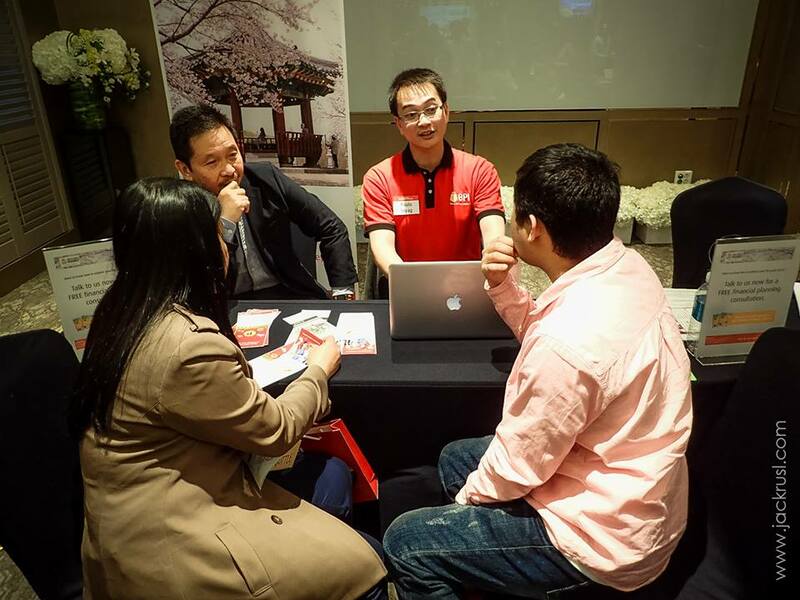 It was hosted by Mr Roy Perez, BPI’s Marketing Officer in South Korea. The first speaker was Mr. Paulo Tayag, BPI Asset and Wealth Management. He talked about “A present for my future”, a concise guide in planning for retirement. We learned from him the importance of preparing for retirement as early as now. This does not make sense for now but when we grow old and we are no longer capable to work, we’ll realize the importance of saving early for retirement. He provided guidelines on how we can prepare for the future. First is that we have to set a goal, and by setting goal we mean to couple it with plans. After that, we have to set a realistic time frame to achieve the goals. Let’s face it, in order to materialize a goal, there’s a corresponding amount for that, so it is important to set contribution for each goal you made. Identify how much you need to achieve one goal and base on the time frame, compute how much you need to contribute on a monthly basis. You must also know your Risk Profile, and then you can now Invest. Make sure that you take an investment vehicle that corresponds to your risk profile. And lastly, stick to your horizon. If you follow this, you will be well guided to your financially journey as you grow old. The next speaker was Mr. Mario Miranda, the Head of BPI Asset Management and Trust Group. He discussed about the importance of emergency fund. He pointed out that before a person should venture into any investment, it is important that an emergency fund, which is equivalent to 6 months of your needs, must be secured first. It should be as liquid as possible so that you can easily pull it out in case of emergency. He suggested to list down all your goals in life and start to fund it. BPI has available products that can help a person to save his emergency fund, to set the goals and fund each goal in a very convenient and easy way. The third speaker was BPI Relation Manager Che Marquez. She talked about Franchising business and how BPI can help you with this. Historically, she said that Franchising has better success rate than any start up businesses. For those who have no idea on how to start a business from the scratch, then this is the perfect option. Through BPI, you can secure the finances needed to get a franchise of the business you want. 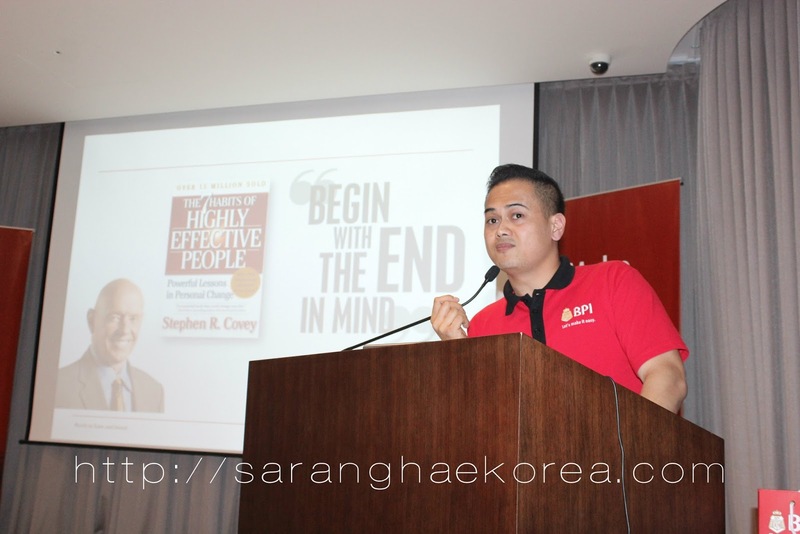 The last speaker was BPI’s Marketing officer in South Korea, Mr. Roy Perez. He talked about the KB-BPI remittance in South Korea. The tie up between these two giant banking institutions in Korea and Philippines respectively take pride in their fast and convenient service, better exchange rate and the low charges on remittance fee and other hidden fees. To know more about this, you may reach sir Roy through his mobile number 01048835767 or add him on his facebook account at ROY PEREZ BPI. Not only that, after the seminar, we were treated with free buffet dinner and free financial consultation from the speakers. We also received freebies from BPI and KB. It was an interesting seminar, we learned a lot from the speakers and the lessons we learned motivate us to do better with our respective financial journey. Thank you BPI for the great seminar.